Elmelin has a long, established history in mica processing, and while retaining and expanding on this considerable knowledge base, we now provide a broad range of capabilities. Meeting the demands of diverse industries means providing specialised insulation solutions to suit. These are usually manufactured from mica or microporous insulation but we also make design specific custom-made solutions. At the same time, we offer expertise in thermal management and a full prototyping service, to ensure that bespoke insulation products are ready for roll out and application. We believe our roots in mica processing have given us a firm foundation upon which we have now built our expertise as leaders in the field of industrial insulation. The proof of this expertise is in the excellence of what we can offer to you, our customers. Manufacturing for industrial insulation requires flexibility, adaptability and efficiency. Elmelin has developed and refined its manufacturing processes, while always keeping an eye on innovation. The superior quality of the Elmelec range of mica roll and mica sheet laminates comes from our rigorous approach to processing and manufacturing. We continue to produce pure mica laminates for high temperature performance; but we also have refined our processes to include mica glass fibre and ceramic laminates. We manufacture and supply other mica-based products for wide industrial application including mica tubes, gaskets, washers and mica flakes. If you require custom boards and shapes, we will supply these to your specifications. Our highly skilled workforce is both responsive and proactive in developing manufacturing solutions. Effective thermal management is crucial for foundries, furnaces and other industries. 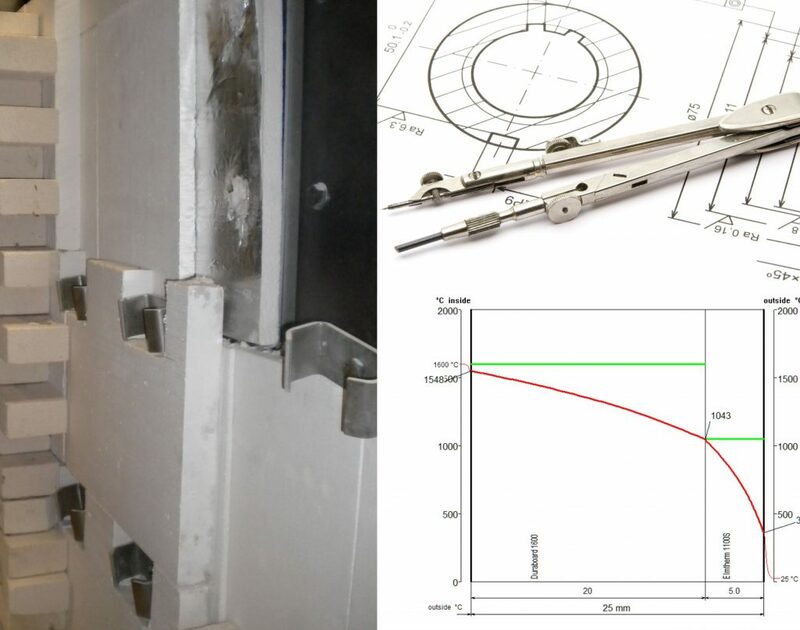 In response to various vital issues, we provide bespoke thermal management design solutions, and carry out incisive profile-building through thermal simulation. Elmelin’s safety management solutions include our innovative Elmesh sensor material. Its installation works as an early warning where there is a risk of metal penetration close to the induction coil. Another of our safety management products is Vapourshield. It acts as a metal penetration barrier to prevent metal penetrating the coil grout, it can also act as a metal penetration alarm for furnaces. Prototyping is an essential part of what we offer. With a broad customer base, we understand the potential for variable and combined applications to provide them with the specialised insulation solutions they require. A perfect example of this process is our testing of insulation mats for automotive battery applications. With our flexible, dynamic approach to manufacturing, we can provide a rapid response service with short lead times. Prototyping is a key part of the process when it comes to finding the right insulation or thermal management solutions, so it is important that this vital work progresses rapidly past the development stage. It is often the case that there is no single solution to an insulation issue, and consequently we take a combined problem-solving approach, working closely with our customers, and applying our broad, cross-industry knowledge to find the right, practical resolution they require. Discover more about our capabilities here. If you need further information, or if you would like to talk to one of the Elmelin team about your specific requirements, then please email sales@elmelin.com or call +44 20 8520 2248.